Fresno State and Arizona State play in the first day of the college football bowl season in the Las Vegas Bowl on Saturday, Dec. 15. Get the time, TV channel, prediction and preview information, all below. The 11-2 Bulldogs, led by Jeff Tedford were ranked No. 21 in the final College Football Playoff rankings after winning the Mountain West Conference title game. Arizona State and first-year coach Herm Edwards come in at 7-5. Fresno State and Arizona State play starting at 3:30 p.m. ET on ABC. The game is at Sam Boyd Stadium in Las Vegas. Jeff Tedford continues to work wonders at his alma mater. The Bulldogs were 4-20 the last two seasons before Tedford took over the program, including 1-11 in 2016. Tedford didn't waste time rebuilding the program, as the Bulldogs went 10-4, lost to Boise State by 3 in the MWC title game, and then beat Houston in the Hawaii Bowl. Fresno State did even better this year, going 11-2 with a win on the Blue Turf. 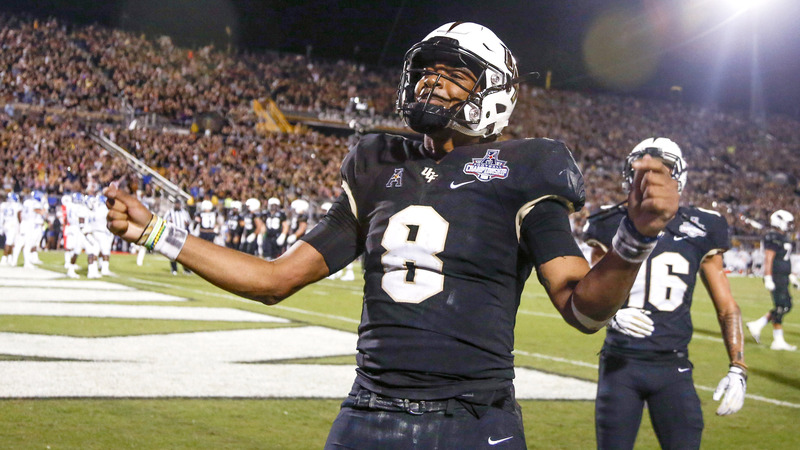 If UCF didn't rally to beat Memphis in the American Athletic Conference title game, the Bulldogs would have moved into a New Year's Six game. But an appearance in the Las Vegas Bowl as conference champions is still an opportunity for the Bulldogs. If Fresno State wins, it will earn its 12th win in a season for the first time in program history. In his first season as a college football head coach, Herm Edwards led the Sun Devils to a second consecutive season of seven wins. They also finished one game out of playing for the Pac-12 title, as they went 5-4 to Utah's 6-3 (ASU won the head-to-head meeting). The Bulldogs and Sun Devils haven't played each other since 1941, so there isn't recent history between the two. Arizona State's offense is charged by running back Eno Benjamin, who's 42 yards away from setting a school record for rushing yards in a season. He's at 1,524 going into the game. But Arizona State also has star receiver N'Keal Harry with his 1,000-plus receiving hards. Fresno State doesn't make many mistakes. Besides quarterback Marcus McMaryion tossing only three interceptions to his 25 touchdowns, the Bulldogs are plus-13 in turnovers this season. Fresno State has come too far to end with a dip now. The Bulldogs won at Boise State to claim the conference crown and now can finish a season ranked in the Top 25 in the AP and Coaches Poll for the first time since 2004.